...but you can order and pick them up in 3-6 WEEKS! O2 customers hoping to snap up a new iPhone 5S when it goes on sale in the UK on Friday, will not be able to do so from the network's retail stores around the country. Amid reports claiming the Touch ID-enabled device will be in seriously short supply, O2 confirmed it will only be available to order in store, over the phone and online from 8am on Friday. The network tweeted on Thursday afternoon: "Nearly #O2iPhone Friday! Get 5c in store & order 5s online & on phone. No 5s in stores but they'll order for you and say when it's in." In even less optimistic news, the company said it does not expect to fulfil orders made in store for a whopping 3-6 weeks. It's the latest blow for O2 customers, who will already be waiting weeks for Apple to approve the company's 4G LTE network. In a statement O2 told Pocket-Lint: "We won't have iPhone 5S stock in stores to sell but customers will be able to place their order with us in store. They can also order online or over the phone. If customers are in store they'll be able to get a demo of the phone and place their order with the help of one of our store advisers. "We anticipate that orders made in our stores for the 5S will be available to collect at the store in three to six weeks. The customer will receive a text when their handset is ready for collection." 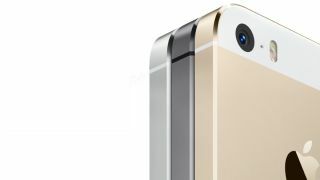 It has been rumoured since Apple launched the device during a keynote address on September 10 that the iPhone 5S wouldn't be as readily available as in recent years. This was illustrated by Apple's unwillingness to offer the iPhone 5S for pre-order prior to the release date, while reports suggesting poor yields of the fingerprint sensor tech was at fault. Sources have confirmed to TechRadar that other networks are also struggling for stock, but it appears the best bet to ensure you're carrying an iPhone 5S on Friday night is to join the droves already camped out at Apple Stores. Tomorrow, at least, promises to be more interesting than usual.